Dan was born in Andover in 1995. He moved to Exeter in 2013 to attend the University and graduated with a BSc (Hons) in Mathematics with Finance, achieving a 1st, in the Summer of 2016. 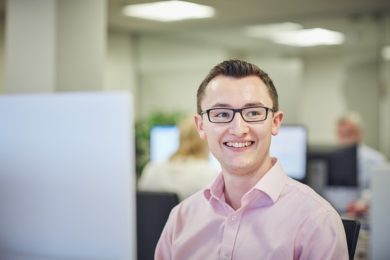 Dan joined Hawksmoor in October 2016 and was promoted to Assistant Fund Manager in November 2018 in relation to the Vanbrugh, Distribution and Global Opportunities Funds. He has completed his Investment Management Certificate and has passed Level 1 of the CFA programme. During his time between graduating from university and joining Hawksmoor, Dan wrote a novel called Heirdonus. His interests include exploring the Devon countryside, cooking, playing cricket, and suffering at the hands of Sunderland AFC.